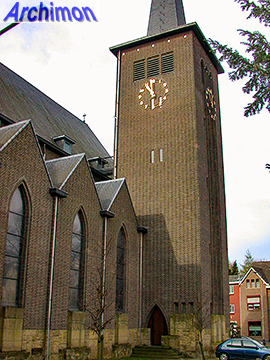 Bleijerheide was part of the St. Lambertus parish of nearby Kerkrade until 1966. Yet, it had a church of its own as early as 1882. That church belonged to a Fransiscan monastery founded by German monks who had fled from Germany during the so-called Kulturkampf. 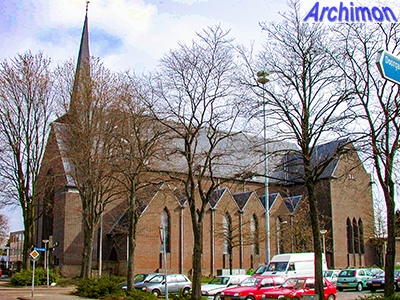 In 1912-1913 a new church was built, and in 1918 Dutch monks took over the monastery. Already in 1930 work began on a new church which would be big enough for 850 seats, instead of the 400 of the previous one, which was given a secondary role until 1966, when it was demolished along with the rest of the monastery. 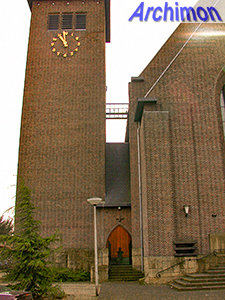 Bleijerheide became a seperate parish that year. 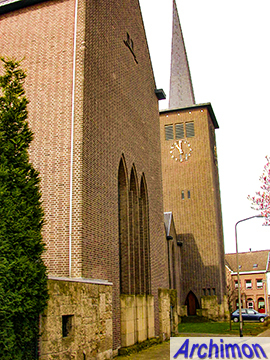 The new church was designed by A.J.N. 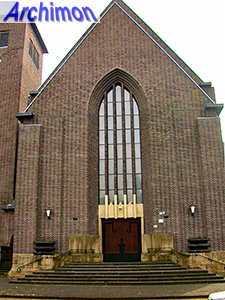 Boosten in 1929, and it was his first church since his H. Hartkerk in Maastricht and the nearby H. Johannes in Eygelshoven, both of which were too progressive for their time. His only church work in the meantime had been the enlargement of the church of Margraten. 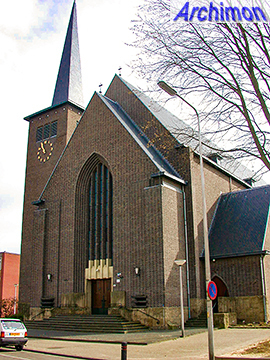 The church of Bleijerheide is relatively conventional in style, compared to Boosten's previous and later churches; perhaps restrictions in style were the only option for Boosten if he wanted to be commissioned again. Once back in business he returned to a more experimental style again. But not this time. 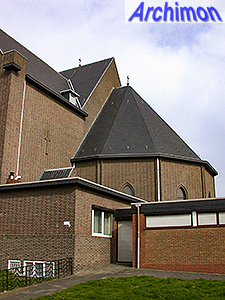 The church is a three-aisled cruciform pseudo-basilica. The traves of the side-aisles each have a gable and a saddle roof. At the back is a five-sided choir. 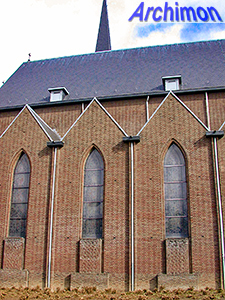 Although the central aisle is taller than the side-aisles, Boosten did not give it windows. The shape of these windows, as well as the entrance, are in a pointed style inspired by Gothicism. Some of the actual windows were designed by Henri Jonas and are considered to be his best work. Unfortunately they can hardly be seen on the outside of the church, as plain windows have been put in front of them. 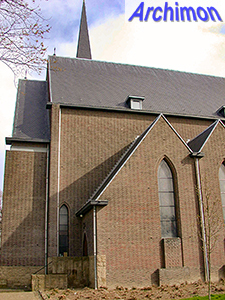 In World War Two the church was damaged, but damage was limited. 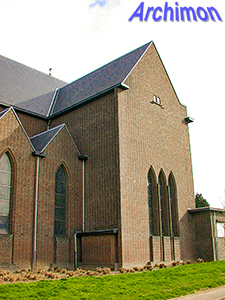 In the 1980's the church was restored. In 1992 an earthquake caused more serious damage to the church, which was repaired in 1994, followed by a restoration which lasted until 1999.